I just learned about this amazing local event, Food for Thought Expo being held this Satuday, March 31st at the Fairfield High School and it’s FREE! Here is some information about the event. Fairfield’s 3rd annual “Food for Thought Expo” showcases good food and how it’s easy to prepare and enjoy with the family. With presentations and displays by local farms, food stores, bakeries, health food vendors – and kid’s activities – the Food Expo provides a one-stop experience for the whole family on Saturday, March 31th from 10:00 am to 4:00 pm at Fairfield Warde High School. Admission is free. Children’s activities and movies throughout the day. What’s it take to keep bees? My family and I will definitely be attending this event. It sounds like a great learning experience and so much fun for adults and kids! It is so amazing how much our local communities have to offer, it’s up to us to enjoy it all, especially when it’s FREE! Hopefully, next year Food Jules will participate in this great event! 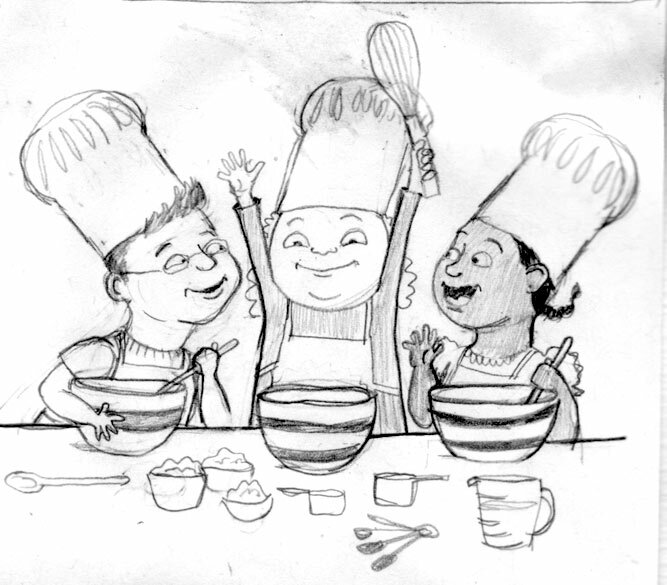 Food Jules will be hosting its first six week session of cooking classes at Chalk Hill Middle School in Monroe, CT for kids ages 7-12 as part of the Monroe Parks & Recreation Spring Program. SIGN UP TODAY to take part in this fun, educational and team building program! This session’s theme will be “Creating Favorite Meals with Food Jules”. Join Liz Cerrato, owner of Food Jules, as she shares some of her all-time favorite recipes, from savory starters and hearty entrees to decadent desserts. Each week, students will work in teams to create some favorite meals, using simple cooking techniques and wholesome ingredients. Students receive their own cookbook at the end of the session. Sign up online at http://www.monroerec.org/info/activities/program_details.aspx?ProgramID=27058. Hope to see you there! Today, I bought my first panini press. What an amazing little machine…. makes sandwiches and quesadillas look amazing! In the past, I have used my stove top griddle pan or just my skillet to make paninis and quesadillas etc. It works just fine, especially if you don’t want to own another kitchen gadget. However, since our space in our cooking class at Daniels Farm doesn’t have a stove, I thought it was the perfect excuse to purchase one of these beautiful machines. 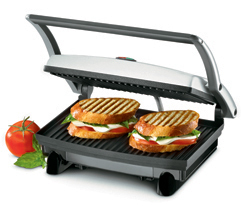 I purchased a small, Cuisinart Panini Press but it does the job and I foresee a lot of grilled sandwiches in my future! On tonight’s menu, I made Tomato, Mozzarella and Pesto Panini’s. These were absolutely delicious and so easy to pull together for dinner. I used my homemade pesto sauce for the sandwiches but there are a lot of top quality pesto sauces at your local supermarket or farmers market. If you want to make your own, it’s super easy to make in your food processor or blender and so delicious! I also tested out some Black Bean and Corn Quesadillas in my new Panini Press. I think I prefer these quesadillas to the Chicken ones that I usually get at Mexican restaurants and so much healthier, filled with black beans, corn, green and red peppers, onions, fresh garlic, tomatoes – just so YUMMY! 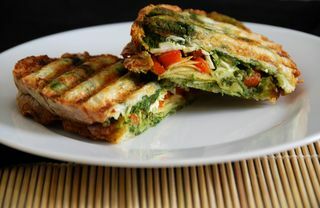 So, make it a Panini night tonight with these delicious recipes! I love reading the Food Network magazine…. actually, I love looking at the beautiful pictures of all the gorgeous food in the magazine! Well, it isn’t just me in this house who reads this magazine, so does Mike and the kids. They look at the gorgeous pictures too and then they ask ME to make the food in those beautiful pictures! Well, last month we received the Chocolate Edition and it was filled with tons of recipes, all made with sweet, delicious chocolate. So, I knew it was just a matter of time before the requests came in…. 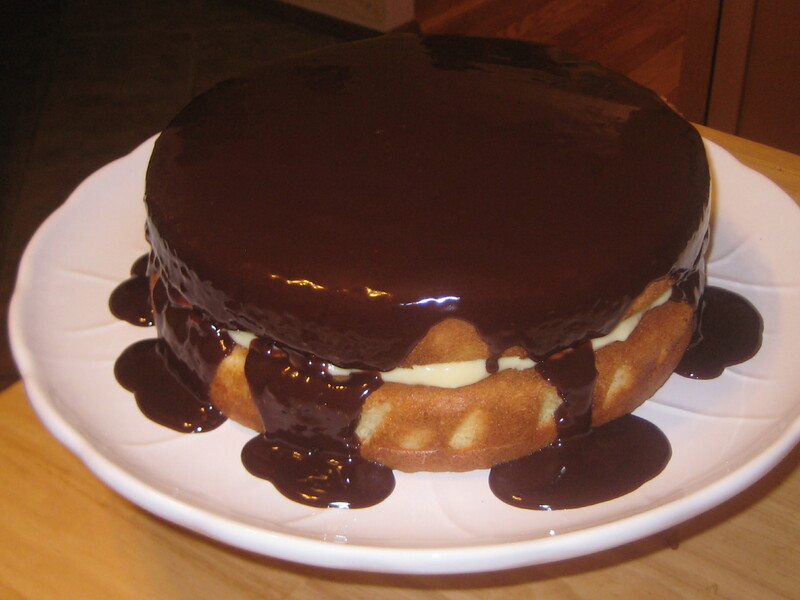 the first one being the Boston Cream Pie which is one of Mike’s favorite desserts! So, today was his lucky day! This was so light and not too sweet and oh, so delicious! Making this cake is very simple, really it is, but it does require many steps which I made throughout the day but it was so worth it! You can find this recipe on Food Network. Did you know that Bacalhau (salted codfish) is the national dish in Portugal? This fish is so popular that there are over 365 recipes for it, one for each day of the year! Last week was our final session in “Cooking Around the World with Food Jules” as part of Stepney Elementary’s Arts & Imagination winter session. So, we decided to visit my family in Portugal, eat some of their delicious food and experience their fun culture. Portugal was a whole new experience for all of my students, as none of them (except Lilliana) had ever eaten Portuguese food and they loved it. 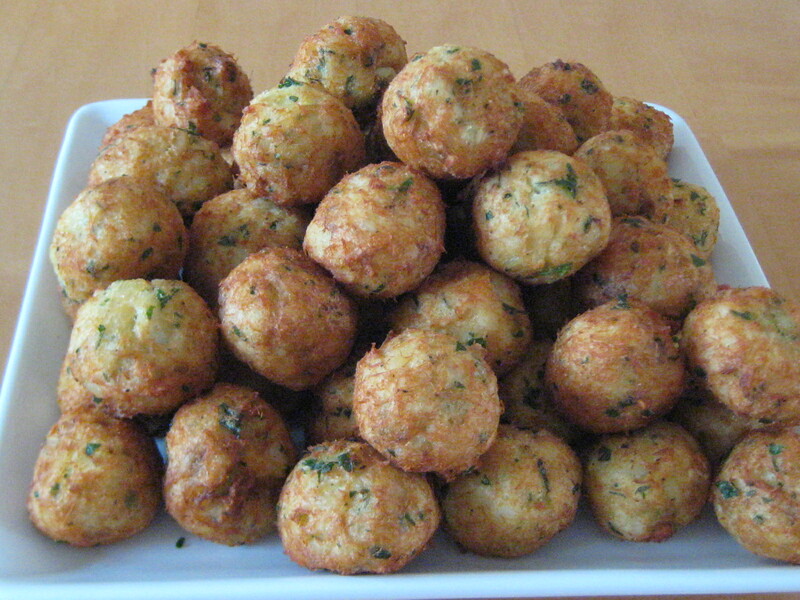 We started by making a classic Bacalhau appetizer, Pasteis de Bacalhau (Codfish Fritters). At first, the kids were hesitant to try a “new” type of fish but as soon as they took a bite out of them, they were all in love. YUM! The Portuguese love to talk about food and eat a lot of good food, so much so that they take a two hour lunch break and eat a three course meal, starting with a soup. 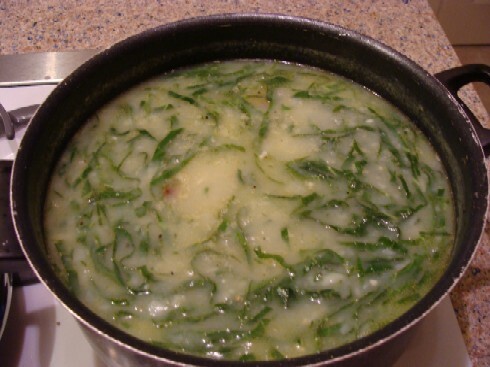 A classic Portuguese soup is Caldo Verde (Green Kale Soup), made with Kale Greens, Potatoes and Chorizo (Portuguese Sausage). We made a vegetarian version without the sausage. I was so proud of all my students for doing such an amazing job making this soup and for eating it. It is nutritious and delicious, loaded with vitamins! 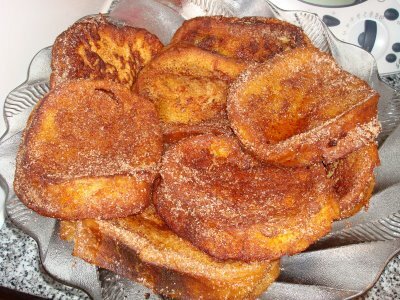 We also made Rabanadas (Portuguese style “french” toast). Oh my goodness, the kids were all over these! They are a classic treat during the Christmas Season, so sweet with cinnamon sugar. We, Portuguese folks, love dessert and enjoy many different types of sweet treats but my absolute favorite are these rich custard cups from a town in Portugal, named Belem. 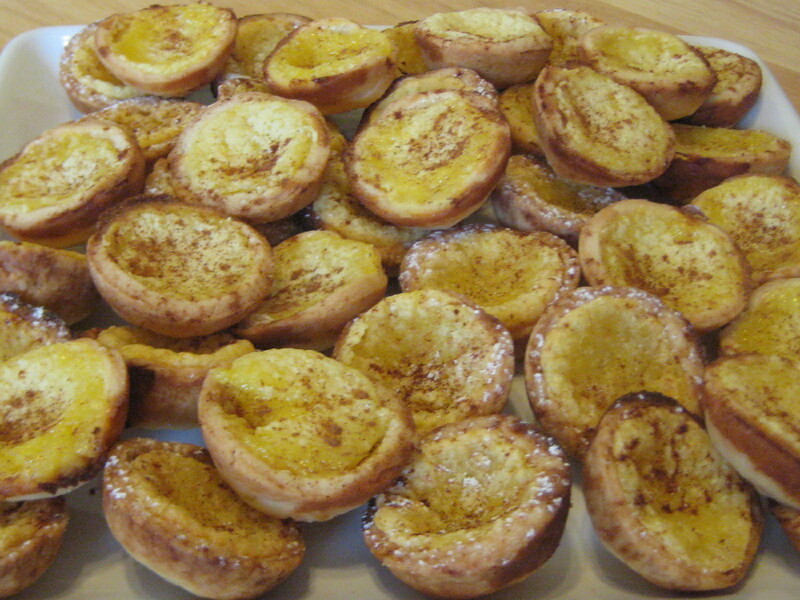 So, for our final dish, we made Pasteis de Nata, delicious pastry cups filled with a sweet custard. This was so popular in my class that we will be making them, along with other delicious cultural foods, as part of our cooking class in preparation for the International Festival on March 30th. You must try to make these at home, they will be your new favorite sweet treat! Thank you to all my Food Jules students for another fun and successful cooking program. See you in April!